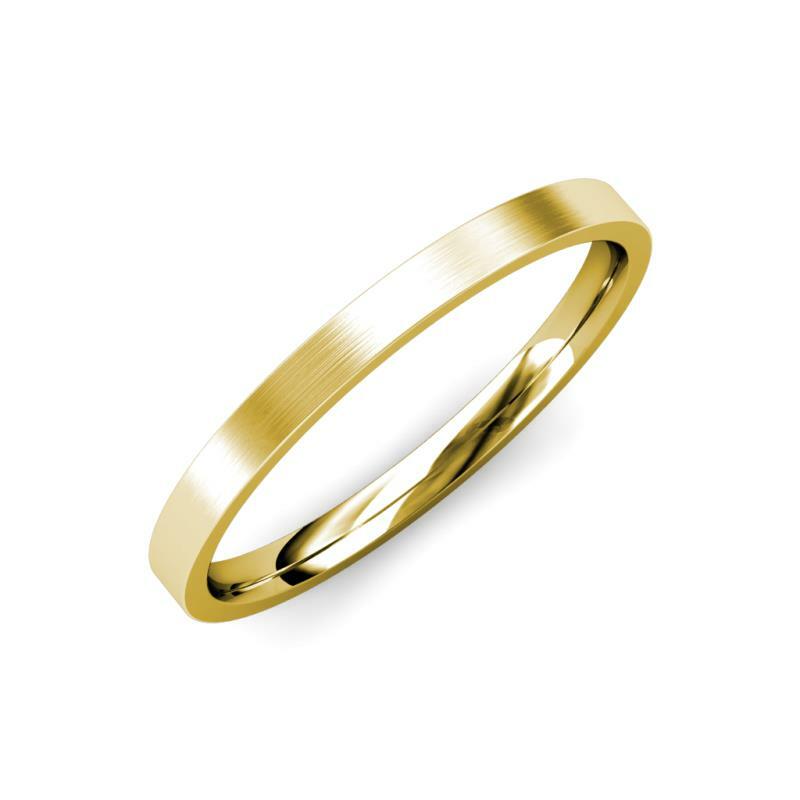 Satin Finish 2.00 mm Flat Comfort Fit Wedding Band Present your Love with a Wedding Band which is simple and masculine design combined with comfort fit makes it perfect for every day wear. 5 stars, based on 1 reviews Condition: $230 New In stock! Order now! Order in 5:09 hrs to get it by 30th Apr 2019 with Overnight Delivery Learn More. Normal processing time for this item is 5 to 6 business days before it ships and it will ship via your chosen ship method after the processing time is complete. Satin Finish Flat Comfort Fit Wedding Band in 14K Yellow Gold. Width of the Band is 2.00 mm. Simple, but lovely. High quality and an amazing price. I had a great experience dealing with Prina at Trijewels, and the rings are amazing. This is more a place to go if you want exactly what you want and good value than going on the cheap. But it's well worth it - how many chances do you have to get this right? Customer service and quality are top notch. My wife absolutely loves this ring! The size, weight, and beautiful design is superb! Customer service was outstanding! My overall experience was excellent and I will highly recommend this jeweler. Great company, great quality, great craftsmanship, and great customer service!!! I found Trijewels while searching for a Celtic Trinity Knot wedding band and saw the high reviews and dedicated customer service testimonials they'd received. I decided to purchase the Arden Celtic Trinity Knot wedding band and I am very satisfied with the results of my decision. Vijay worked with me every step of the way to ensure that my expectations were met and the final product was perfect! Vijay and his team's responsiveness and attention to detail and quality were incredible; I highly recommend TriJewels!